Why are they still in Germany and not in Israel? Welcome to the new Germany, same as the old Germany. So watch for a great deal more of this. 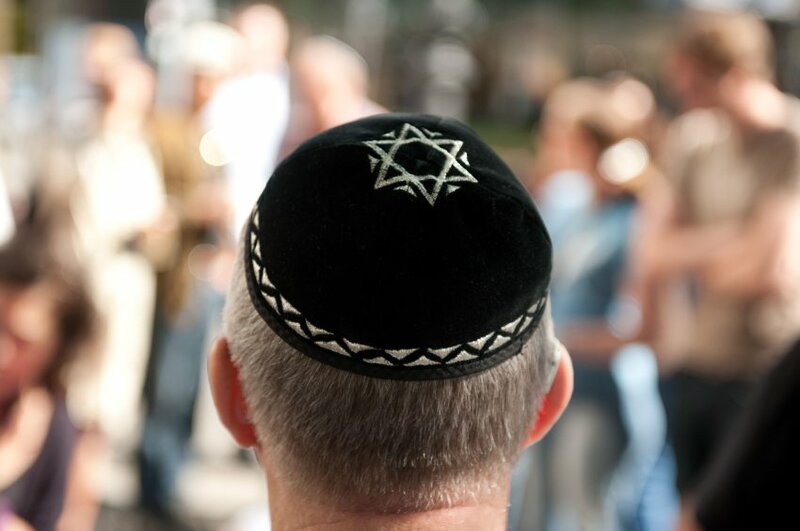 Members of the small Jewish community in the West German city of Bochum will no longer wear Kippot because of attacks on them by Muslim youths, they announced in November. The issue would be dealt with in the context of the German authorities’ “efforts to integrate newcomers into German life and values,” German Justice Minister Heiko Maas said. “The German authorities, church leadership and NGOs have a moral obligation to ensure 21st-century German Jews will never have to hide their Jewish identities on the streets of Germany,” he added. Cooper said he has not heard of any government efforts to rope in antisemitism among Muslim communities in the Federal Republic since his 2014 meeting with Maas. German news outlet Radio Bochum first reported on November 16 that a representative of the community said members will stop wearing kippot in public because they are routinely faced with insults on public streets when they are recognized as Jews. “Muslim youths attacked people of the Jewish faith,” according to the article. Bochum is an industrial city in the state of North Rhine-Westphalia, with a population of nearly 365,000. Bochum’s Jewish community, which includes the towns of Herne and Hattingen, numbers over 1,000…. Bochum has been a hotbed for anti-Israel hatred. In 2014, some 120 activists marched on Bochum’s city hall chanting “Israel, child murderers” and “Allahu Akbar.” The anti-Israel demonstrators were protesting Israel’s Operation Protective Edge.